Looking for a best designed celebrity style jacket with best features? 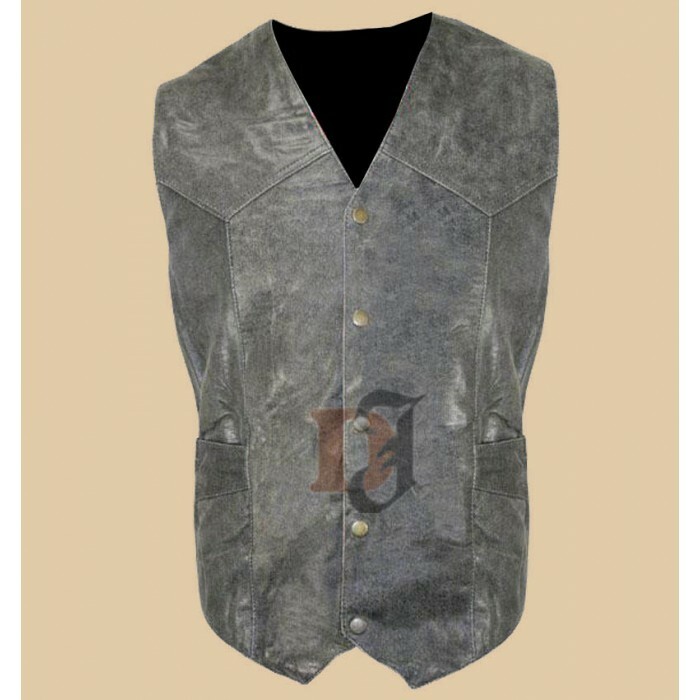 Have a look at this beautiful NF-8302 Charcoal Distressed Leather Vest. This is a Well-designed jackets for those who love wearing sleeveless jackets. This jacket have dirty shade style which gives a unique look. No matter where you are from, you can get these distressed leather jackets in Toronto, Paris, Washington and worldwide. This jacket has many specialties, for example, its specialties or key features are given below. 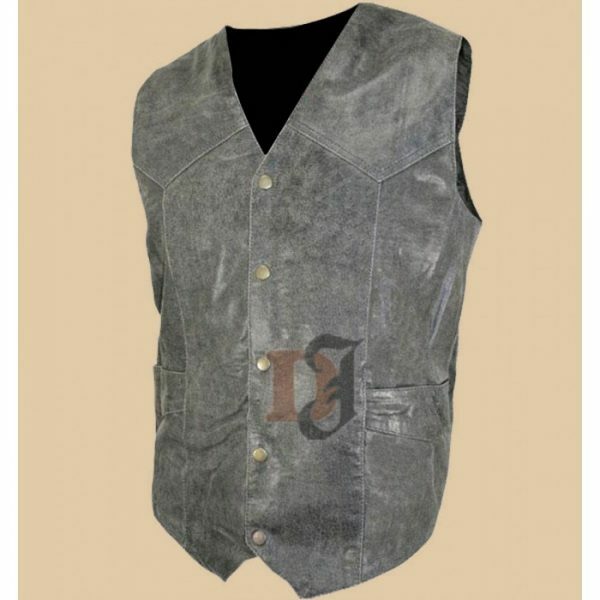 This vest was made with 100% pure leather and not fake or artificial leather was used while it was being manufactured. Sleeveless vest which give a unique look and comfortability. Dirty shade style attracts fashion lover towards it because it gives a different look if compared with regular leather jackets. It is 100% screen accurate vest, so don’t need to worry about its quality, just grab it. Front button closure is very good and stylish. NF-8302 Charcoal Distressed Leather Vest is 100% distressed vest. What else do you expect from this sleeveless leather jacket? You can buy it from our stores on just one click!